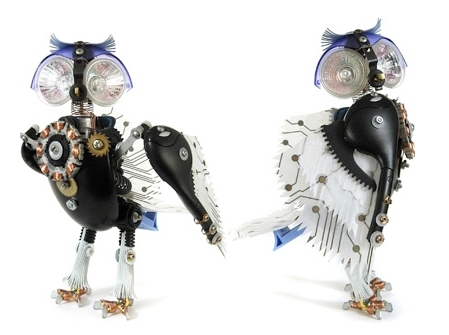 Ann P. Smith is a famous American artist who uses broken electronics and machine parts to createunique robotic sculptures. 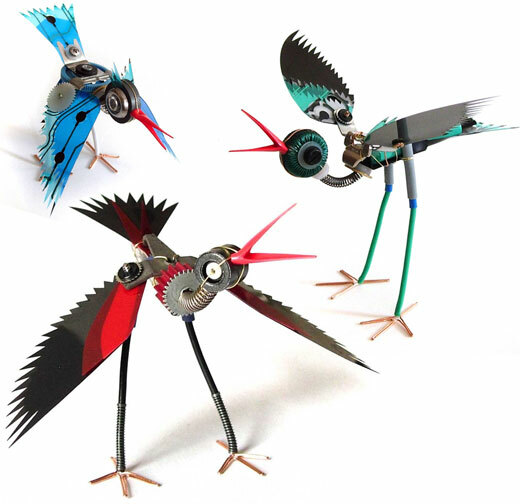 A resident of Providence, Rhode Island, Ann P. Smith graduated from the Rhode Island School of Design, where she first got the inspiration for her unique art. 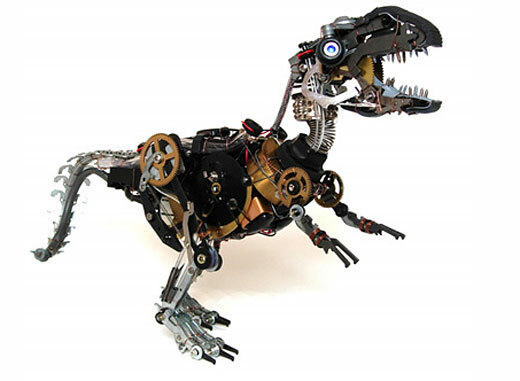 She had received an assignment to create a three-dimensional technology illustration , but she was completely stumped until she saw a heap of junk with a telephone on top, which she used to create a horse sculpture. 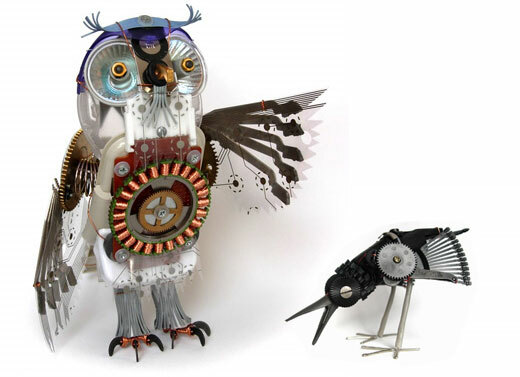 This won her great reviews and kickstarted her career as an upcycling artist. 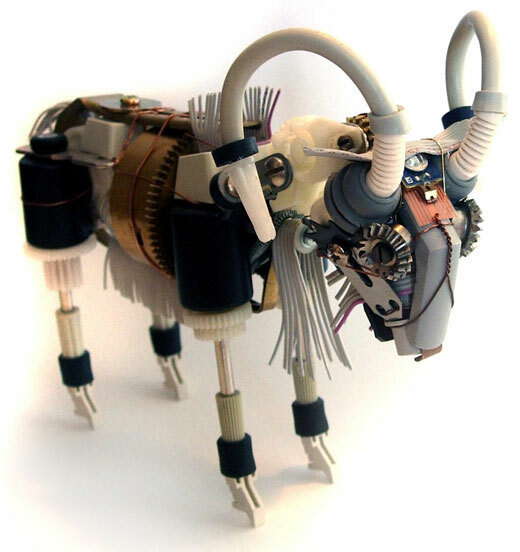 The mechanical menagerie Ann created throughout the years contains a wide range of intricate creatures – goats, birds, jellyfish, lizards, etc – all made from computer components, discarded cell phones and various other salvaged scraps. 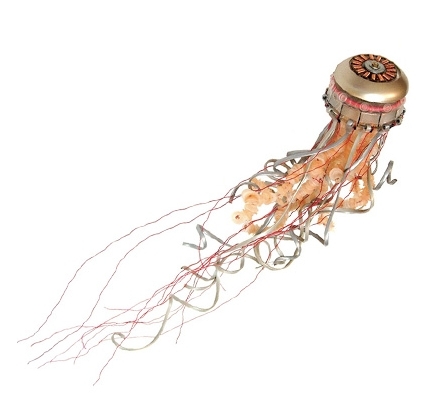 Each creation has a unique personality reflected by the carefully chosen materials it’s made of, and is labeled by a line of keyboard keys.